The RCMP has confirmed that two men both wanted by police who may be in the Prince Albert area are related, but at this time there is no evidence connecting the two cases together. 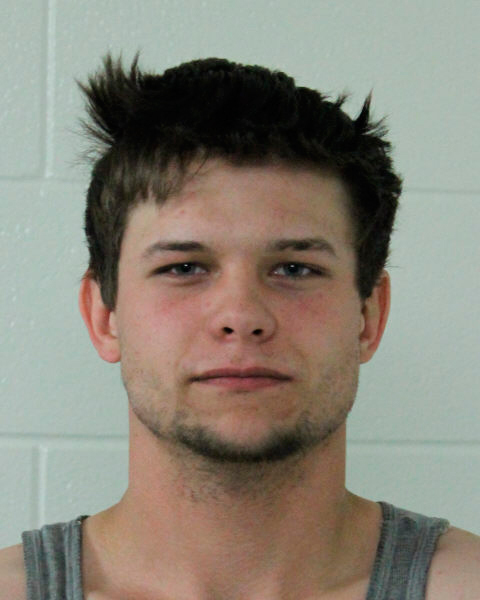 An RCMP spokesperson said Triston Lundgren, a 22-year-old suspect wanted in a Saturday Melfort stabbing, is the brother of 27-year-old Bradley Clinton Lundgren, who didn’t return to the Besnard Lake Correctional Camp Monday evening after a visit to the Prince Albert area. Police say there is no evidence connecting the two incidents, or information that would indicate the brothers are travelling together. The Melfort RCMP are looking for Lundgren. He allegedly stabbed a man several times and assaulted another woman. At 4:15 a.m. on January 26, officers responded to a stabbing in Melfort. When they arrived, they found a man who had been stabbed several times in his back and neck by another man. The victim was taken to Melfort Union Hospital with multiple stab wounds to his back and injuries to his face. He was later transported to Royal University Hospital in Saskatoon. His injuries are not considered life-threatening. Triston, who is from the Melfort area, is also being accused of assaulting a woman who was also at the residence. He fled the scene before officers arrived. His whereabouts are currently unknown. He has ties all over the province and is usually transient. Triston is now wanted for a number of offences, including aggravated assault, possession of a weapon for a dangerous purpose and break and enter. Thirty minutes after the Melfort RCMP sent out a media release about Triston Lundgren, the Pinehouse Lake RCMP sent out a release about Bradley Clinton Lundgren. He was due to return to the Besnard Lake Correctional Camp Monday at 10 p.m. after a visit to the Prince Albert area. He did not return to the correctional camp. Bradley is described as 180 cms tall and 109 kgs (240 lbs) with brown hair and hazel eyes. Anyone with information regarding the whereabouts of either of the Lundgrens is asked to call their nearest police department or the Melfort RCMP at 752-6420. In the case of an emergency, call 911. You can also submit tips anonymously through Crime Stoppers at 1-800-222-8477 (TIPS), or online at saskcrimestoppers.com. The public is being advised to not approach Triston Lundgren and simply call the police should they encounter him.